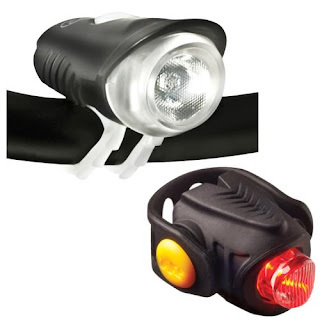 Turn night into day and stay safe on the road or trail with 50% OFF two great bicycle lights from Blackburn and NiteRider! Both use reliable LED technology, and are easily rechargeable using the included USB cables that plug into your computer. Both work great for commuting or our Night Rides on the Towpath Trail (2016 schedule of rides now available!). At 300 lumens, the Blackburn Scorch 2.0 Headlight is bright enough to show your way even on technical mountain bike trails. It has a tool-free micro-adjust handlebar mounting bracket. The illuminated fuel gauge shows you the status of charging. You get up to 3 hours of run time per charge! Regularly $99.99 NOW $49.99. 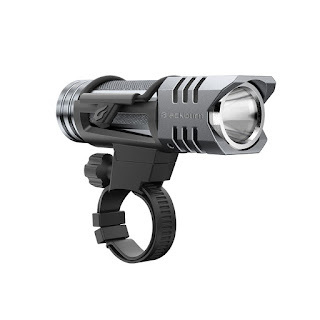 The NiteRider Lightning Bug/Stinger USB Headlight/Taillight Combo features a pair of lights that easily mount to your handlebar and seatpost using built-in rubber straps. The headlight is 120 lumens bright and provides up to 26 hours of run time per charge in flashing mode. The taillight is 25 lumens bright and offers up to 10.5 hours of run time per charge. Regularly $74.99 NOW $37.49. These Hot Deals are good only December 31, 2015 through January 13, 2016 while supplies last on in-stock merchandise only. Cannot be combined with other discounts. In-store purchase only; no online or phone orders accepted. No coupon necessary. Join Team Left Hand/Century Cycles for the Bike MS Buckeye Breakaway! Registration is now OPEN for the 2016 Bike MS Buckeye Breakaway. This two-day fund-raising ride from Brunswick to Ashland, Ohio and back benefits the Ohio Buckeye Chapter of the National Multiple Sclerosis Society. The ride will take place on August 6-7, 2016. Century Cycles has been a proud sponsor of our local Bike MS ride for over 20 years. 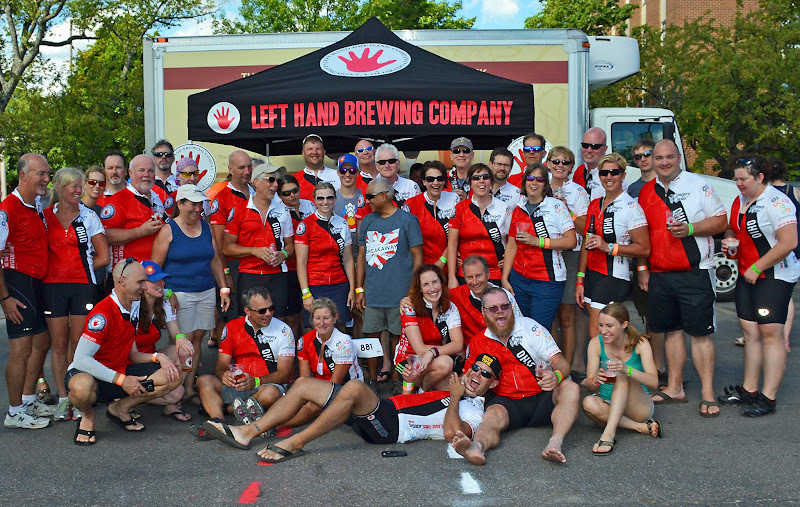 In 2015, we teamed up with the Left Hand Brewing Company of Longmont, Colorado to form Team Left Hand/Century Cycles! We were the TOP fund-raising team in the 2015 event -- thank you to everyone who participated and donated! Team Left Hand/Century Cycles is BACK for the 2016 event, and YOU are welcome to join! Joining our team requires an extra step before the regular process of registering on the Bike MS web site. You must pay a $65 fee to join (this helps cover the cost of your team jersey and other team benefits). Go to www.lefthandbrewing.com (you may have to verify your birth date before proceeding to the home page). Click on "EVENTS" then "TEAM LEFT HAND AND BIKE MS."
Scroll down to "OHIO RIDE AUGUST 6-7." Select your jersey size from the drop-down menu (note separate menus for Men's and Women's sizes). You'll be taken to a PayPal checkout page where you may pay with a credit card or your PayPal account, if you have one. After this checkout is complete, follow the links to return to the Left Hand Brewing web site. You'll be given a password to join Team Left Hand/Century Cycles. Go to our Team Page on the Bike MS web site and click the "Join Our Team" button. Login or create your account on the Bike MS web site and proceed with registrations, entering the password from above when prompted. 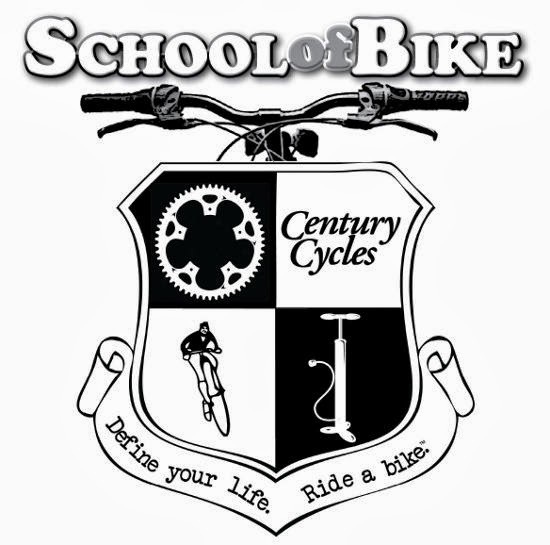 It's winter, and that means it's time for School of Bike, our annual winter bicycle maintenance classes! This year, we've streamlined and simplified our class offerings to provide you with the most-requested and most popular classes, provided on several different days of the week to accommodate your busy schedules! Learn once and for all how to change a flat tire! This year we will instruct you in the fine art of changing a flat tire and also teach you the proper way to clean and lubricate the chain, cables, and pivot points on your bicycle. This will be a hands-on, rockin’ experience! There is no need to bring your bike, we will provide all the necessary materials for you. No special skills or prior flat fixing experience are necessary. All classes are taught by experienced, patient Century Cycles employees. All students receive a 15% discount off regularly-priced parts, clothing and accessories good at the time of the class (cannot be combined with other offers). No pre-registration or RSVP is necessary. FREE!!! Come out of hibernation and enjoy the best that Cleveland's winter season has to offer -- Cleveland Metroparks' "Every is Winterrific!" event is BACK for 2016! Century Cycles will have FREE snow bike rides available all during the event! Food and refreshments will be available for sale at the Chalet concession stand. For more information, call 440-734-6660 or click here. Plus FREE Installation, a $20 value! 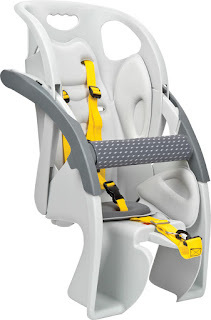 Get your newest member of the family an early start on his or her bicycling career with 30% OFF baby seats from industry leader Blackburn Design. Plus, we'll provide FREE installation (a $20 value). The Blackburn Taxi Baby Seat and the Blackburn Limo Baby Seat both feature a three-point safety harness, molded foot wells, and quick-release system for easily taking it off and on your bicycle. Both are rated for a maximum child weight of 40 pounds. The Blackburn Taxi Baby Seat (regularly $99.99, NOW $69.99) has thick foam padding, a quick-release grab bar, and comes with the Blackburn EX-1 Aluminum Rack for mounting on many styles of bicycles. The Blackburn Limo Baby Seat (regularly $149.99, NOW $104.99) has plush gel padding, fold-down grab bar, and a reclining back rest. It comes with the Blackburn EX-1 Disc Aluminum Rack for compatibility with even more bicycles. Not sure which baby seat fits your bicycle? Bring your bike with you and we'll check it out! Depending on our service schedule, installation may not be able to be done while you wait. If you're getting ready to take your little one along on your bicycle adventures, don't forget about a helmet! With our "Oh What Fun It Is To Ride!" Holiday Sale currently going on, you can take 15% OFF all helmets for kids and adults, as well as 15% OFF any other clothing and accessories! Looking for stocking-stuffers for all of your future bike racers? Take 20% OFF the following items for EXTRA Hot Deals! These Hot Deals are good only December 17 - 30, 2015, while supplies last on in-stock merchandise only. In-store purchase only; no online or phone orders accepted. No coupon necessary. Surly Pugsley fat bikes PRICE REDUCED! 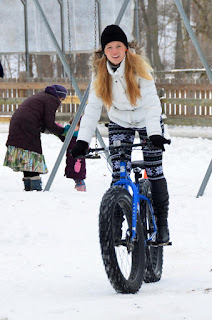 With our recent Global Fat Bike Day Ride, the upcoming Cleveland Metroparks Fat Bike Race & Celebration, your friends and all the cools kids talking about fat bikes, you may be thinking it's about time you joined the fat bike cult. The folks at Surly Bikes have decided to make it easier than ever for you by lowering the prices on their iconic Pugsley snow bike. This is the bike that started it all over 10 years ago, the first production fat bike on the market. You can now be the proud owner of a Surly Pugsley for just $899.99! We will be getting a couple in stock next week, but you can try one out any time from our snow bike rental fleet. We now have a full size run (Extra-Small, Small, Medium, Large, Extra-Large) available to rent or try out. If you want to step it up a notch, you can get the Surly Pug Ops for just $999.99. Upgrades over the regular Pugsley include hydraulic disc brakes, wider rims, and a SRAM X7/X9 drive train with trigger shifters. Or, if one gear is your thing, get the Surly Pugsley SS for just $799.99. As if that weren't enough (and by golly it should be), you can now get the Surly Moonlander, the first 5-inch tire fat bike, or the Surly Ice Cream Truck Ops, either one for only $1,199.99! Stay tuned for details of MORE fat biking events coming to Northeast Ohio soon! Looking for the perfect Christmas gift for the bike rider in your life? Start here with these suggestions, which we have broken down into four price ranges, all under $100. And, all of the items listed below are IN STOCK at all three Century Cycles stores! Don't see something you like? Stop into one of our stores and let our experienced riders guide you! Or, choose a Century Cycles Gift Card! Available in any denomination, they never expire, and we'll mail it to you or your recipient at no extra charge! The Century Cycles Performance Tech Tee combines the casual styling and "Define your life. Ride a bike. (tm)" message of our popular t-shirts with a moisture-wicking polyester no-shrink fabric. $19.99 each, unisex sizes Small through Extra-Large. NiteRider's CherryBomb 35 Taillight provides you with safety day and night, with two steady and one flashing mode. The quick-release seatpost strap mount works on most any bike. $19.99 each. The Buff Headwear is the original multi-functional headband! Wear it 12 different ways for protection from the sun and wind year-round. 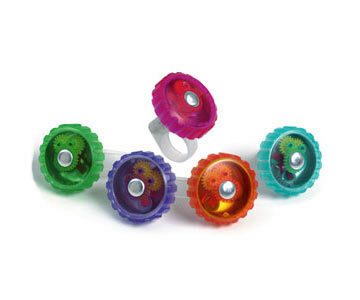 $19.99 each in a variety of fun colors. Buffwear: Original Buff Demo from Sweet Life Productions on Vimeo. Surly Logo Wool Socks. That's right, socks. No fancy name here, no splashy logos, it's the Surly way. What they lack in flash and flair, they make up in awesomeness. They're made from Merino wool for the perfect pairing of breathability and durability. Plus, they keep your feet comfortable in any temperature, even when wet. What more do you need? $15.99 per pair in unisex sizes Small through Extra-Large. When the temperature dips a bit below your comfort zone, but it's not quite cold enough for full shoe covers or winter cycling boots, toe covers are the way to go. The Pearl Izumi Elite Thermal Toe Covers go on and off easily and stay in place. $20.00 per pair in two sizes, Small/Medium and Large/Extra-Large. Giro Merino Wool Gloves work great on their own, underneath your short-finger gloves, or under a ski glove for the ultimate in multi-layer warmth and insulation! Touch-screen compatible fingertips work with your devices, and the grippy dots keep your phone from slipping into the river. $27.99 per pair in two unisex sizes, Small/Medium and Large/Extra-Large. The NiteRider Lumina Micro 350 Headlight is the perfect blend of power and value. Bright enough to show the way in any conditions, whether you're commuting, cruising the bike paths, or riding singletrack on your mountain bike. 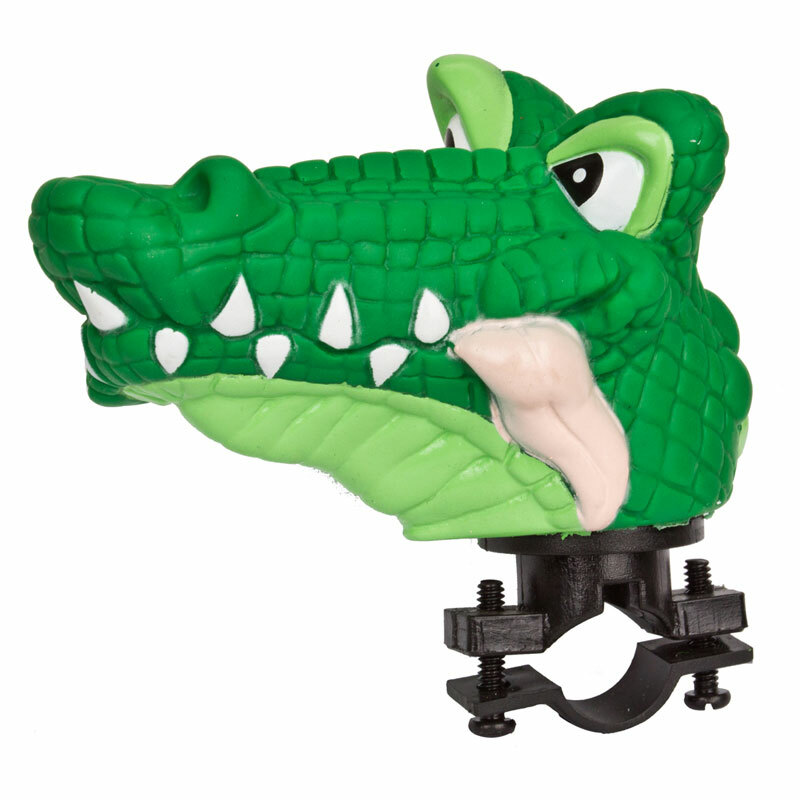 Universal quick-release handlebar mount, with a helmet mount also available (sold separately). Conveniently rechargable through any standard USB port. $49.99 each. Every cyclist knows that they should be checking their tire pressure before every ride. The easiest way is using a full-size floor pump -- just keep it in your garage or your car. We have several good options available -- the Giant Control Tower 2 ($44.99), Serfas FP-200 ($44.99), Blackburn AirTower 3 ($49.99), and Topeak Joe Blow Sport II ($49.99). All of them have built-in easy-to-read pressure gauges, and dual heads that work with both presta and schrader valves without the need to swap any parts or adapters. For a portable pump to carry on your bike for emergency flat tire repairs, look no further than our perennial favorite, the Topeak Road Morph ($44.99). Easy to use, built-in pressure gauge, cross-country tour proven. The XLC Metro Tote Grocery Pannier mounts easily on most rear cargo racks for bicycles. 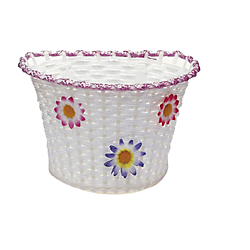 It's sized to fit a standard re-usable grocery bag or a gallon of milk. It folds up flat so it's out of the way when not in use. There's also a zippered internal pocket for your keys or other valuables, and a removable padded shoulder strap, so you can take it with you to do your shopping! $46.99 each. The Pearl Izumi Quest Cycling Shorts let you step into comfort, with Tour 3D padding and fabric that wicks and breathes so you stay dry and comfortable on every ride. Also available in a women's-specific version; $49.99 each. Between its large screen and easy wireless setup, the CatEye Padrone is great for those who want a simple, squint-free riding computer. Its packed with essential features like speed, distance, and time, plus the auto start/stop means you'll always have an accurate ride time and distance for tracking your progress. $54.99. The Bell Stoker helmet flaunts plenty of substance with style. This wonder helmet sports Bell's Fusion In-Mold Microshell for excellent strength and low weight, plus their SpeedDial fit system and Cam-lock straps for an easy to adjust fit that won't shake loose no matter how rough the trail. Thirteen vents and four brow ports keep air flowing through the helmet so you stay cool, and the adjustable visor is goggle compatible. $74.99. 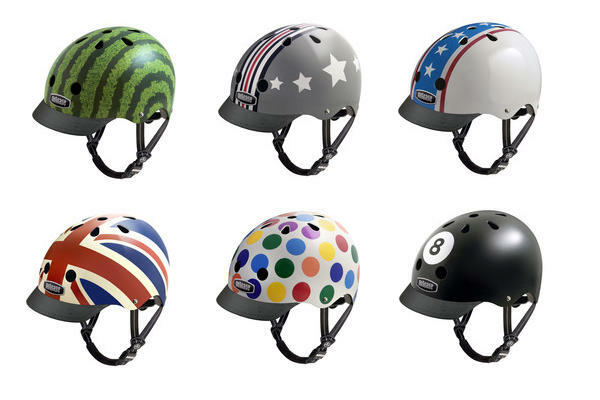 Nutcase Helmets offer cutting-edge comfort, style, and protection with their injection-molded ABS-plastic outer shell, expanded-polystyrene inner, and multitude of vents that ensure ample airflow. 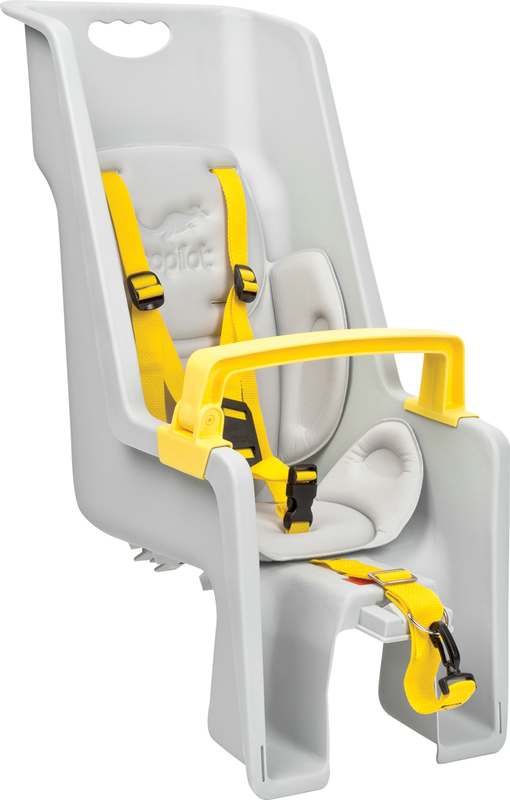 You'll also love the adjustable dial fitting system, soft straps, and magnetic buckle, giving you a snug, comfortable fit and letting you close the buckle with one hand. There are reflective logos for enhanced visibility and a detachable visor, too. Available in three sizes to fit kids and adults. $69.99 each! Available in the styles shown above, plus many more! Get the power and value of the Lumina Micro 350 Headlight combined with the USB-rechargable convenience and safety of a super-bright taillight with the NiteRider Lumina Micro 350/Solas 30 Headlight/Taillight Combo. $69.99 for the set, which saves you $10 over buying the two items individually! Everyone loves Shimano SPD clip-in pedals. Now you can add that final bit of bling to your bike with iSSi II Triple Pedals. They are compatible with Shimano SPD cleats, and come in bold colors, like Pink (shown here), Lime Green, and Sky Blue. $84.99 per pair. All Tifosi Sunglasses feature tough Grilamid frames that stand up to years of daily use. Choose their 3-lens interchangable system, or Fototec lenses that adapt to changing light conditions, as found on the Tifosi Slip Fototec ($79.99) glasses shown here. The CamelBak Lobo makes staying hydrated on hard rides easier than ever. With 100 ounces of fluid capacity, it holds enough water for several hours of fast-paced pedaling. Its insulated reservoir pocket keeps liquids cool, while the built-in Quick Link System and Ergo HydroLock valve prevent drips during transport. Plus, the Lobo's secure cargo pockets are great for essentials and make this pack a favorite with adventurous cyclists and hikers who require a little extra carrying capacity. $84.99 - $98.99 each. At $99.99, the Giant Control Tower Pro is the Porche of floor pumps. What's makes an air pump worth almost $100, you may ask? Just stop in and try it out for yourself, and you'll see how its extra-wide base, extra-large barrel, and extra-long hose make your inflation chores a snap. Fat Bike Race and Celebration coming to the Cleveland Metroparks! Join Cleveland Metroparks for the first ever Fat Bike Race and Celebration in Cleveland Metroparks! 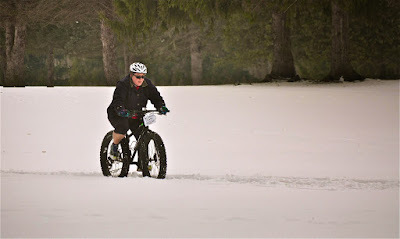 Shawnee Hills Golf Course Clubhouse will be transformed into fat bike headquarters as we enjoy the cold Mother Nature has to offer. Race as an individual or grab a friend and enter as a two-person relay racing as many laps as you can in a short, fun, groomed course of double track and single track. The celebration continues after the race with music, food and drink, fire, and fat bike demos, so even if you aren’t racing, come join in on the fun. More details will continue to be added, so check back here often. Mark your calendars for Saturday, January 30, 2016! The cost for race entry is $25 for individuals or $40 for the 2-person relay. Ages 14 years & over with participating adult. Helmets are required. Lunch is provided with race entry (while supplies last). 2:00pm - Food and drink sales close, test rides over, pack up and see you next year! You can register as an individual or as a two person relay team. Individuals will race as many laps as they can in the set amount of time. As long as you start your last lap prior to the cut-off time, the lap counts. Relay teams will race as many laps as they can taking turns with only one rider racing at a time, allowing your relay partner time to catch their breath or warm up. Individuals and relay teams with the most laps completed in the fastest times will be awarded the winner. Awards three deep for each category. As conditions are currently unknown, the race will be on one of two courses, but each course is about 2 miles. If snow conditions – the course will run on groomed double track around the golf course and groomed single track. If less than snow conditions – the course will run on double track around the golf course, a unique, fast and fun riding opportunity. Race route, with map, will be announced the week of the race as conditions and weather allow. Please, no pre-riding the course once it is announced until race day. Please check out the Cleveland Metroparks event web page for full rules and details. Century Cycles has fat bike rentals available. We are offering a rate of $20 for the event, which covers the race only (regardless of course or race category). Please call us at 330-657-2209 to make your reservation! Click here for details about our rental fat bikes. Hot Deals for Cold Days #2: 30% OFF all Nutcase helmets; 20% OFF all other helmets! What better way to kick off the Christmas shopping season than with fun helmets for the whole family? Available in three sizes to fit kids and adults. Only $48.99 each (regularly $69.99)! Available in the styles shown above, plus many more! Go to www.centurycycles.com/get/nutcase to see our full selection. Looking for a more traditional bike helmet? We've got you covered for that, too! Take 20% OFF any helmets from Bell, Giro, or Giant! We've got a variety of styles for everyone from the casual rider to the serious racer, kids and adults! This Hot Deal is good only December 3 - 16, 2015, while supplies last on in-stock merchandise only. In-store purchase only; no online or phone orders accepted. No coupon necessary.